If you love the music of the Jimmy Buffett Band, then don't miss the next "Cheeseburger in Paradise" show. 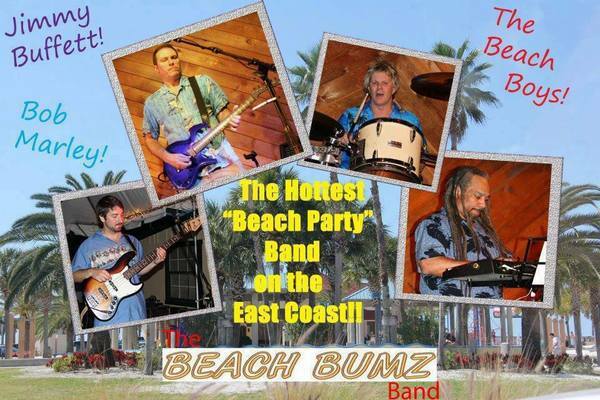 Performed by the best Jimmy Buffett Tribute Band playing today, the Beach Bumz Band. One show listening to the Beach Bumz play the wonderful music of Jimmy Buffett, will surely remind you of sunny days, beaches, sunsets and allow you to slip away to Margaritaville. The Beach Bumz bring the sounds and excitement of a beach party to your next party or event as The Beach Boys Tribute Band! Bring the best Beach Boys Tribute to your next beach festival, beach concert, beach wedding or any festive occasion and feel the beach music and breeze flow through your event. Florida, Carolina, Ohio, Delaware, Vermont, You name it! Imagine if your next beach party, beach concert or any event had a Beach Boys Tribute Band, Jimmy Buffett Band, Bob Marley and Beatles cover band, plus all the greatest beach music hits from the top beach music bands. Well, your next beach event is going to have it all. When you book the Beach Bumz, you don't just get a beach music band. You get a Beach Boys Tribute Band, Jimmy Buffett Tribute Band and all the greatest beach music hits plus any other musical style you may want for your event; Top 40, Rock N Roll and more. The Beach Bumz bring fun, excitement and energy to any beach party, beach concert, beach festival, corporate party, beach wedding, calypso concert. Maryland, Virginia, Delaware, Pennsylvania, New Jersey and New York. The Beach Bumz are the perfect beach wedding band to have on your wedding day. Your beach wedding reception should be the most memorable day of your life. Make the day even more memorable, with the sounds and entertainment of the best beach wedding and reception band. Music from bands like Jimmy Buffett, The Beach Boys, Beatles, Jan and Dean and many more. Book the Beach Bumz Band early for your wedding reception! We will travel the world for you. Florida, California, Texas, Hawaii, Arizona, Carolina, and beyond, you name it. Relive Summer With The Beast Beach/Island Band! 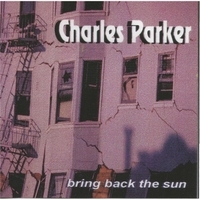 ON SALE NOW Charles Parker CD, "Bring Back The Sun"
Listen To Charles Parker "Bring Back the Sun"